I like to give (or send) all my mom friends a little something special on Mother’s Day, because let’s face it, being a mom, however wonderful, is not the easiest job in the world. 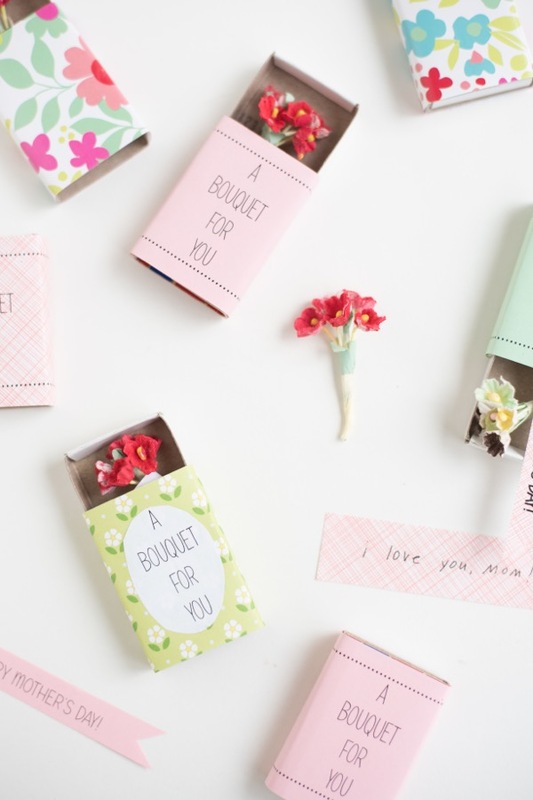 This little matchbox bouquet is just a sweet (and inexpensive) way to say thank you for being a friend, fellow mom! Thanks for listening, teaching, inspiring, supporting, helping and just plain being there! Happy Mother’s Day! 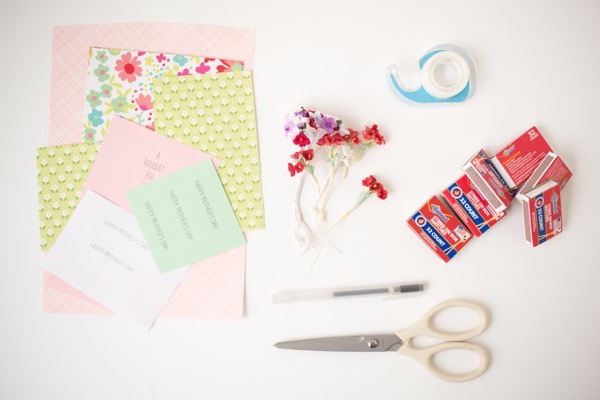 Materials needed: 2″ x 1 1/2″ matchboxes, plain and decorative papers, miniature flowers, scissors, pen, clear tape. Step 1: Empty out matches. Cut out a paper rectangle approx. 4 1/4″ x 2 1/8″. Hold the paper against the matchbox and cut along the edge to trim to fit. 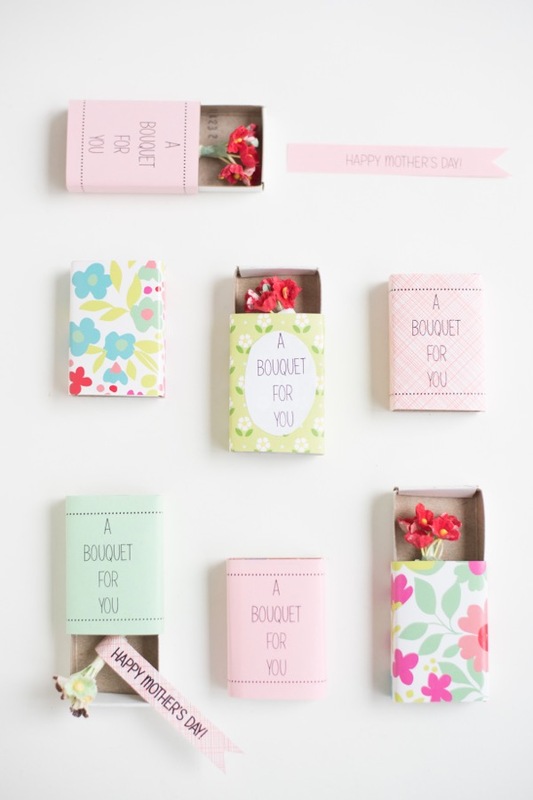 Write A BOUQUET FOR YOU on the front of the box, or on plain paper or a sticker if you are using decorative paper. 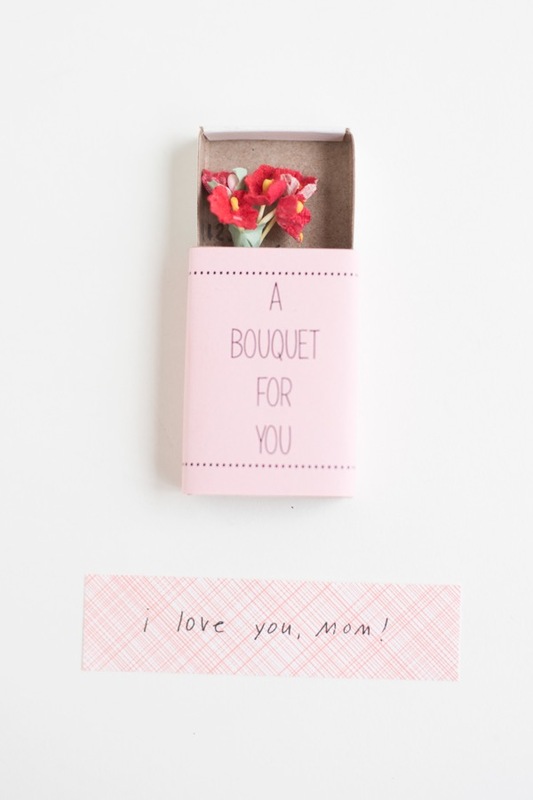 You could also print out A BOUQUET FOR YOU, making sure you can fit it on the top of the 2″ x 2 1/2″ paper. 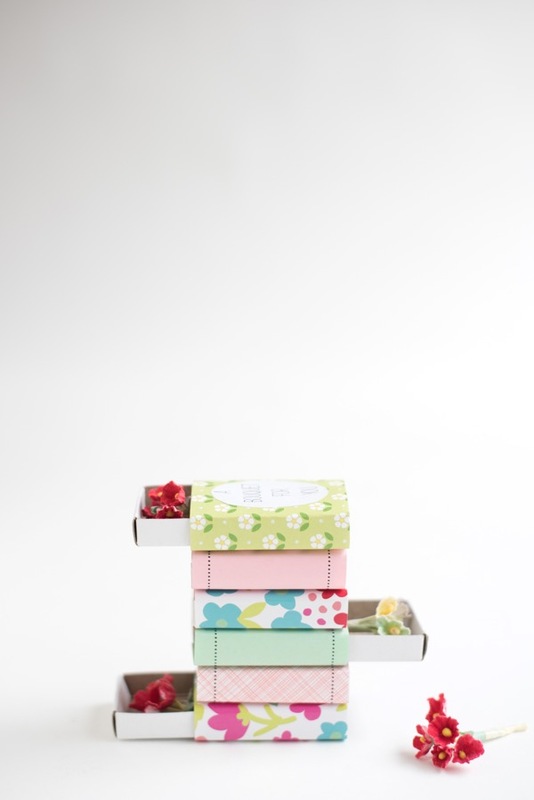 Print it out with plenty of room to be able to center the words and wrap the box. Step 2: Wrap the rectangle around the matchbox. Tape one end to the matchbox, wrap around, and tape the other side down. Use your fingernails to get a sharp crease on the edges. These are so fun! Such a fun craft to do with kids! Awesome! So Sweet! May mum will love it. That’s such a sweet idea, and the bouquets are adorable! This is just darling. Tiny things just make me melt! Those are just SO sweet! These are absolutely charming! I’ve been looking for something to give to the moms in my office and I think this is just the thing. Awww so tiny and sweet! <3 Such a lovely idea! Un’idea carinissima, molto dolce, facile da realizzare e di sicuro effetto. Grazie! This is such a lovely idea! So cute! Where can I buy the little adorable flowers? This is such a cute idea! I love flowers & anything mini – so this is a win, win! Thanks for sharing!! Beautiful! I love everything Chiara touches!